Every designer is different, each bringing a different background and aesthetic to a project. While many designers can adapt to you, it is really much better to find someone with a style that is consistent with your own - avoiding both the client and the designer trying to work with a look that doesn't come naturally to them. Gillian Pinchin has her MBA from the University of Western Ontario and spent 10 years in consumer packaging goods marketing before following her nose into design, which has always been her true passion. She works both on interior and exterior design for clients, and with her partner, Paudie Hanley, builds houses in Westchester under the name Cygnet Design and Build. She lives in Westchester with her husband, three fabulous kids and a loyal cockapoo. You will be able to get a good feel of designers' aesthetic by looking at their past projects. In addition to our work featured on this site, we have laid out the design tenets by which we work, and the process we use to get a project to completion to help you better understand if we are a good fit for what you have in mind. 1) Spaces in a house should be designed for elegant everyday living, not for show; the best spaces should be used and loved by the family that lives there. Ideally we like to design spaces to be flexible, so they can be used by the family, but can be called upon look beautiful and intimate for others should the need arise. 2) We're not fans of visually busy rooms – with lots of elements competing with each other. While some designers do this very well, bringing many different things into harmony, we like to keep a room simple and elegant – even a children’s room – but with one or two pieces that really show your point of view. This could be a wall, art, a floor, almost anything that gives the room personality. 3) While we believe it is well worth spending on some high end pieces and elements in a house, just like in fashion, you can mix high and low to great effect and to ease a budget. Our projects mix European high end manufacturers with Ikea and Restoration Hardware, authentic designs with reproductions. Creativity and style need to have little relationship to budget. 4) Lastly, we believe almost anything can be used as inspiration for a room; a pattern on a leaf can inspire an office design, a pair of shoes a dressing room, a beautiful fabric can create a mood board for a house. We love hearing about client's favourite things and thinking about how we can incorporate them in ways big and small into the project. 1) Alignment on an overall style for the house. 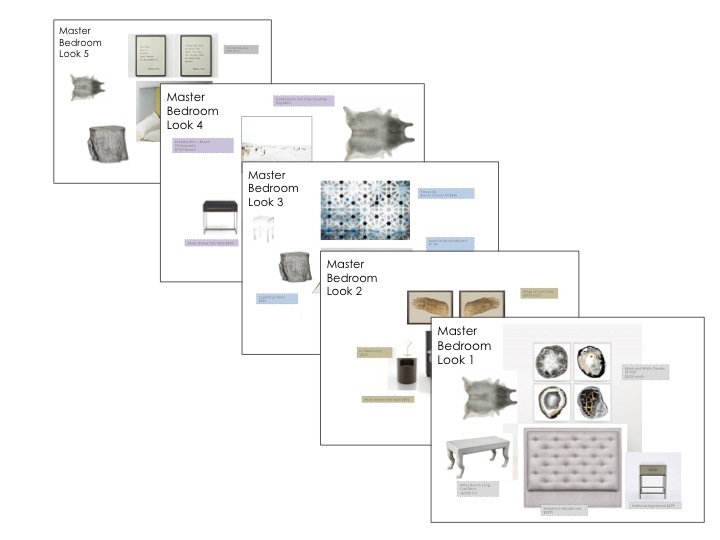 We will walk the client through different mood boards and pictures to identify an overarching style that will be the foundation of all design decisions, big and small. 2) Partnering with the architect during the briefing and drawing stage to ensure aesthetic considerations are built into the planning of the house. 3) As the build progresses, helping the client with all the aesthetic decisions a renovation or build involves; choosing tiles, fixtures, flooring, paint etc. 4) As the build nears completion, agreeing on an overall look for each room, presenting alternatives in terms of furniture and fabric choices with budget implications, narrowing down options and then finally placing and tracking orders for items. With Gillian's experience as a builder herself, we also offer a client project management of the build process, which involves working with the general contractor as project manager throughout the build, keeping the project moving forward, bringing in the architect when required, and being true to the overall style of the project. With existing spaces, the process is less complex, but requires a demanding level of creativity as rooms that were once ordinary turn into inspiring and beautiful spaces. Again, depending on the project, we usually start by aligning on the overall style for the house. This allows us to experiment with slightly different looks for the different rooms, but stay true to a common style, which prevents the overall impression of the house from becoming disjointed. After this is finished, we transition to a more micro view and move room by room. As above, agreeing on an overall look for each space, presenting alternatives in terms of furniture and fabric choices with budget implications, narrowing down options and then finally placing and tracking orders for items.